TRUVAC™ vacuum excavator trucks designed to satisfy safe-digging requirements for locating and verifying underground utility lines and pipes. 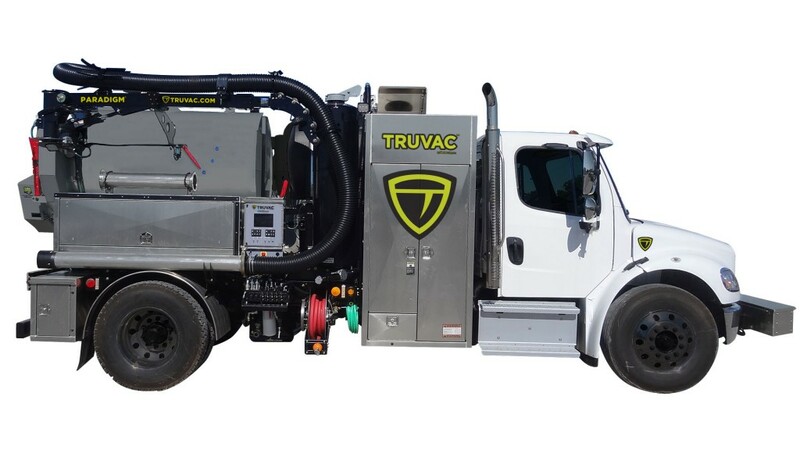 The TRUVAC product line includes the versatile Paradigm sub-compact vacuum excavator, the Prodigy vacuum excavator that offers power and performance in a smaller footprint, and the HXX series of full-sized vacuum excavators designed to tackle the biggest digging projects. "The TRUVAC brand is new, but the products, technology and quality are well established by the Vactor brand, which enjoys an iconic status in the world of vacuum technology," said Sam Miceli, vice president and general manager of Vactor Manufacturing, Inc. "Vactor Manufacturing, Inc., brings to the brand more than 100 years of operator-focused innovation excellence, more than 50 years of experience building equipment that combines high-pressure water and vacuum technology, and more than 20 years of experience manufacturing vacuum excavators." An expansive network of dealers has been carefully selected to sell TRUVAC machines across the United States and Canada. Additionally, a team of dedicated, experienced sales managers, product management, service/support personnel and marketing staff is concentrating on the growth, expansion and operations of the TRUVAC brand. The team is based at Vactor's headquarters and production facilities in Streator, where TRUVAC machines are built. utilities in the United States alone, the risks of utility strikes caused by poor excavator digging practices are too great to ignore, and incidents of gas line explosions, power outages and burst waterlines causing injuries, fatalities and property damage continue to occur at an alarming rate." Bruhn pointed out that TRUVAC will be emphasizing quality and safety for underground infrastructure and the men and women who operate vacuum excavation trucks.